Living on the road. Spending every day pursuing outdoor activities. Possibly without a job, definitely with little income and a life cornerstoned on little responsibilities. This is the idealic description of the nomad lifestyle that many millennials are dreaming of these days whether it be in a car, van or bus. The reality of Nomadic Life is that it comes with its own set of tradeoffs and challenges to enable such freedom to explore the outdoors. I have just wrapped up five months into that experience and can vouch that all that novelty has and idealism wears away rather quickly. I truly appreciate not having to worry about cramming in all my fun into a weekend or a short trip. However, months of poor sleep, constant driving, isolation and maintaining a relationship with little personal space 24-7 are all challenging. While an insulated, tall, Sprinter van might be the ideal vehicle for a small home on the road; it also costs a lot money (~$40,000). 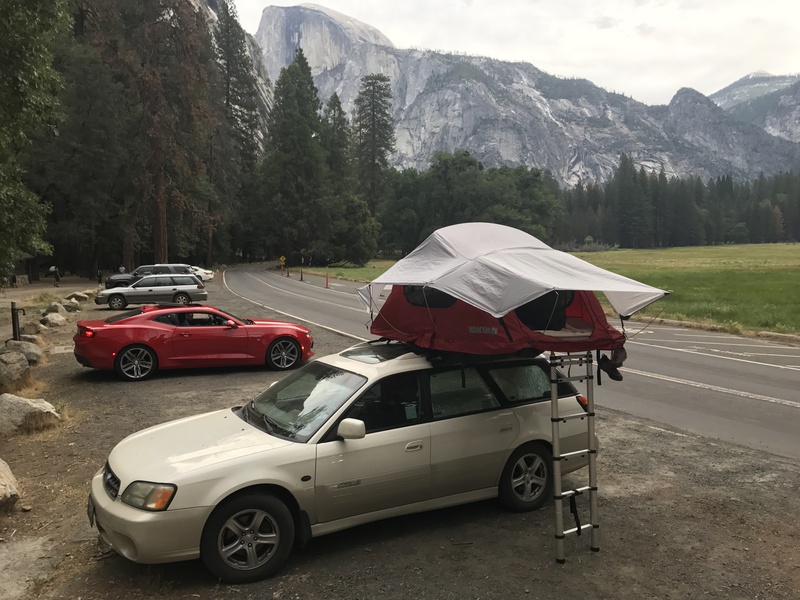 For me, the more accessible option was a car top tent ($1000) on an existing 4wd vehicle. 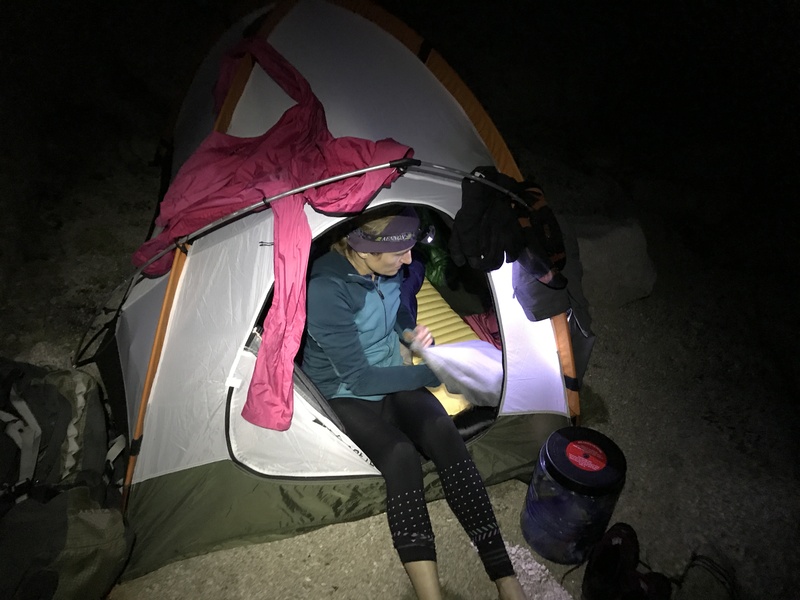 The foam matteress is as comfortable as a bed but the thin tent wall leaves you more exposed to the elements. 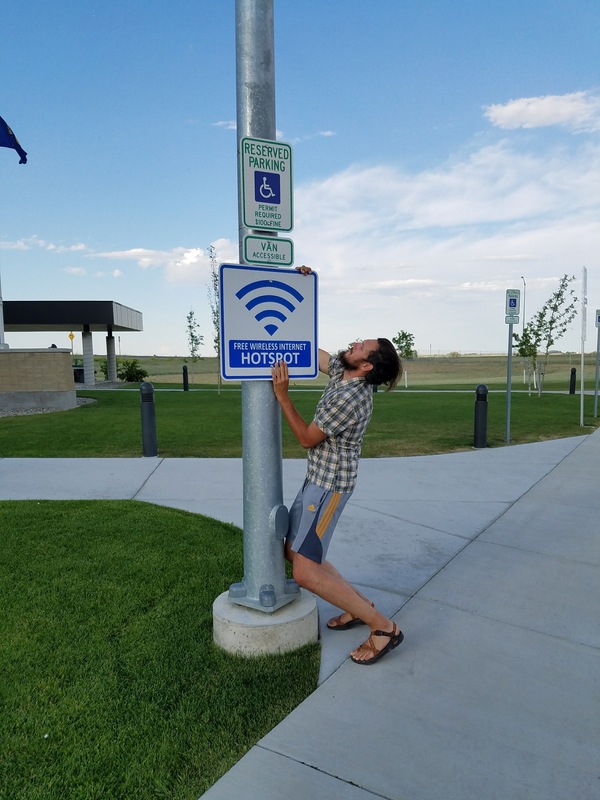 That can mean 18 hours of sunlight in the summer at Banff, Canada campgrounds, idle truck engine noise and consistent transient headlights at rest areas or sweat inducing heat of a desert sunrise. Lack of control over light, temperature and noise has made it hard to really get a good restful night of sleep. TIP: Putting an emergency blanket overtop the tent made it cooler and darker. As does an eye mask. Staying with friends every once in a while to get in a few good nights sleep was essential to recharge. 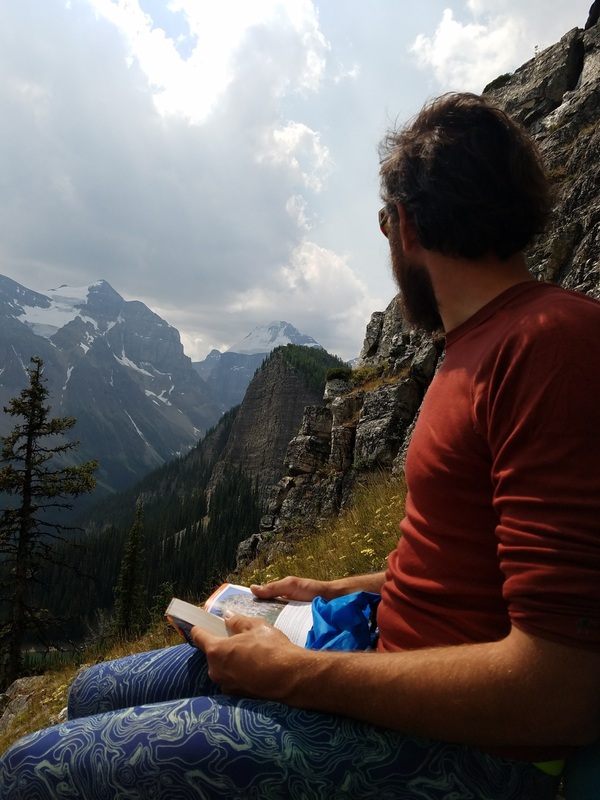 Living nomadically means you can stay closer to outdoor areas for longer, but it also likely means you aren’t staying in a paid campground you’ve booked months in advance. The summer popularity of Yosemite, Glacier, Banff, Jasper and many other National Parks made it impossible to camp close to the action. Trying to climb in these areas often meant staying in overflow lots or free camping areas and a 0.5-1 hour commute each day (one way). Combined with the hours you are driving between these areas, driving can really drag on you. Before I started this trip I had imagined I would be able to park the car and set up a semi-permanent base camp. That hasn’t happened once. TIP: Audio books have worked wonders to make these long drives enjoyable. Also, morning karaoke on the way to the trailhead brought some much needed fun and energy for the daily commute to railheads in the overwhelmed Banff area his summer. Traveling solo sounds a little lonely and harder to get partners together for objectives if not staying in one place a long while. However, traveling with a partner is much more intimate than living together. In normal life, living together still means you still have minimum 8 hours a day apart from your partner at work. In a car, all your resources are shared. One person taking the car alone means stranding another in the midday heat and its not easy to just walk into town from a campsite. While each person has a lot of freedom, they have to compromise on nearly every aspect of life: food, activities, where to sleep, when to shower, how much rest to take, etc. A lot of us tap our communities to help meet our needs that extend outside of our partner’s interested, but those aren’t as easily available on the road. 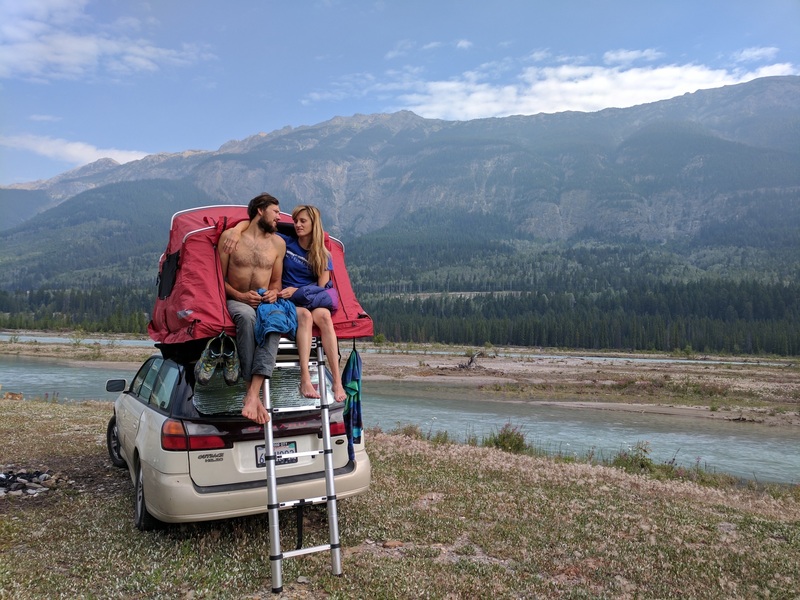 Given my relationship was nearly without conflict prior to nomadic living, this was the hardest and the most unexpected challenge. TIP: Before getting on the road, work out a structured communication strategy for conflict. I found this book really helpful. If you get along really well and have a lot of shared interests and it can be hard to tell when you need personal, unbounded freedom. It’s probably a good idea to schedule in this personal time to make sure it happens and you can plan around the two people, one car problem. What Happened to Decent Free Wifi? You know when people say how good it feels to be unplugged? In nomadic life things like plugs are hard to find. Trying find a place with decent WiFi so I can back up photos or write a blog post while also charging my laptop is near impossible. It is similarly hard, trying to work digitally part time and video conference in a quiet place where people won’t give you dirty looks. Even outdoor seating doesn’t solve this when you find yourself melting in the heat of summer. TIP: Get an unlimited data plan so you are less reliant on WiFi and hotspot your computer. Planning ahead and scoping places out is key if you NEED internet. Libraries are a great place to find WiFi, but like cafe’s the quality varies. Parks work in a pinch since they offer shade and you can typically find one with good signal. Really the best, most reliable solution was staying with friends or new acquaintances.